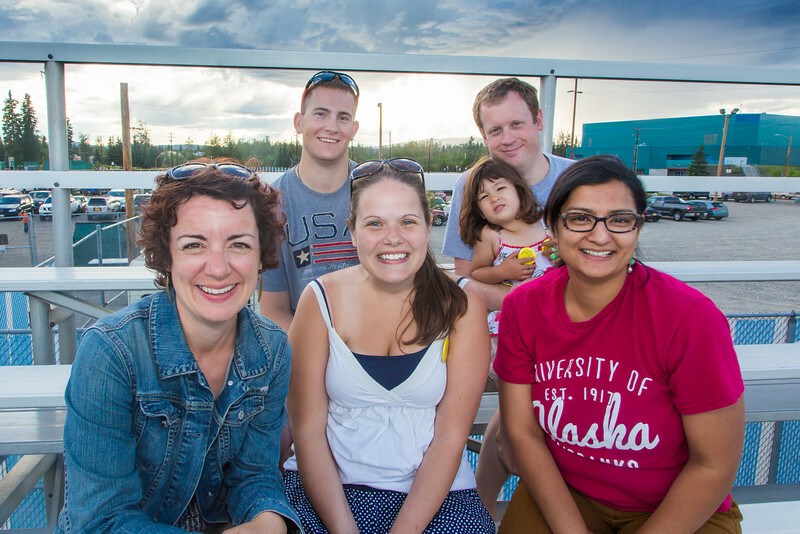 UAF alums cheer on the Alaska Goldpanners during the annual Alumni Night at Growden Field on July 22. Pictured are back row left Gary Olsen-Saville, Ross Imbler with 3-year-old daughter Sitara. Front row left to right, Brenda Riley, Megan Olsen-Saville and Charu Uppal.